Nearly three years ago I wrote a piece called Global Warming, Wind Farms and the Wild that resulted in a long and sometimes acrimonious debate. Much more recently I’ve been involved in discussions and arguments on social networking sites that have also become very heated. Unsurprisingly, as this is a very emotive subject. It is with trepidation that I return to it. I am doing so because I want to expand on my original piece and make it absolutely clear where I stand as I’ve found that I can’t do this in short responses on social networking sites. I expect to be attacked for some, perhaps all, of my views. In the last few years I’ve been denounced as an enemy of the planet for opposing wind farms in wild places and also denounced for doing nothing about wind farms in wild places because I won’t say all wind farms are useless and a scam. To be able to say that every wind farm is essential, regardless of location, or that every wind farm is evil, regardless of location, would be nice and simple. Unfortunately I think the reality is much more complex. I’ve changed the order of the three subjects from that in my three-year old piece to better reflect my view of their significance to my approach to these issues. So I’ll start with the heart of it all: wild land. My primary concern is the protection, conservation and restoration of wild land. Here and now I am directly involved in campaigns for wild land in Scotland as I have been for many years but I also support campaigns and organisations in other countries. Having walked in many other places I have seen the threats to wild land from developments and exploitation in too many of them. Whether these threats come from renewable energy, carbon-based energy, mining, deforestation, tourist development or anything else doesn’t matter. They must be fought. 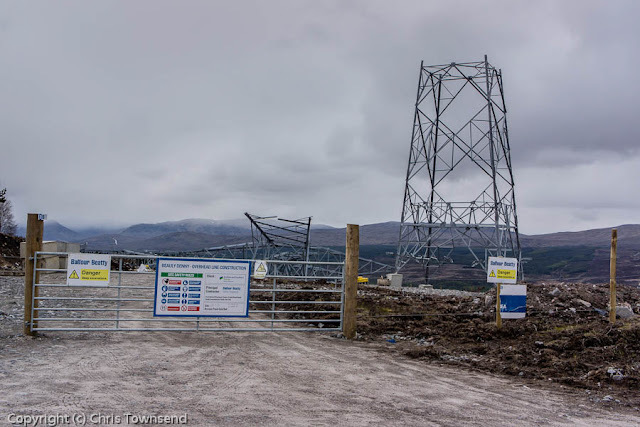 With regard to wind turbines, the big threat to the Scottish hills, I’ll quote from what I wrote three years ago: “Environmentalists say that covering the hills in wind turbines, roads and power lines is necessary because otherwise the hills will suffer due to global warming. So destroying them now is okay because if we don’t they’ll be destroyed in the future? No, this is not okay. The price for combating global warming cannot be the trashing of wild places. To do so would be to so diminish the world that it would not be worth saving anyway. If wild places, the environment we come from and depend on, cannot be saved then what can? Wilderness, I truly believe, is essential to the human spirit. It’s not an add-on, not an option. We need it.” I stand by that. “A thing is right when it tends to preserve the integrity, stability, and beauty of the biotic community. It is wrong when it tends otherwise.” Aldo Leopold. A Sand County Almanac. 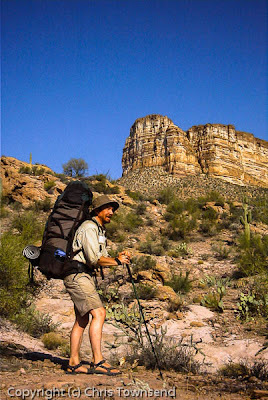 “Wilderness is not a luxury but a necessity of the human spirit, and as vital to our lives as water and good bread. A civilization which destroys what little remains of the wild, the spare, the original, is cutting itself off from its origins and betraying the principle of civilization itself.” Edward Abbey. Desert Solitaire. “To find a wholly wild scene, unmarked by man’s building, one has to go ever farther into the hills. …… The tale of man’s activity in the Highlands has been one of ruthless exploitation, in which, with some rare exceptions, he has taken all and given little. It will not be easy to stem the tide.” W.H.Murray. Scotland’s Mountains. “I suggest that we little men had no damned right even to consider such vandalism – for any reason at all.” Colin Fletcher on proposals to dam the Grand Canyon. The Man Who Walked Through Time. In Scotland the current main threat to wild land comes from wind farms. Opponents of wind farms in the hills often argue that wind farms are useless, expensive and just a scam. The debate of how much or little energy they produce and whether it’s worth the cost is in my view irrelevant to their location on wild land. It really doesn’t matter. They shouldn’t be built there full stop. They shouldn’t be built there because they destroy the very properties that make wild land so valuable. And that applies to any other form of development. Long before wind farms were thought of W.H.Murray wrote “Intrusive structures, whether dams or construction yards for oil production platforms, or factory buildings, are essential to the nation. There is no need to do without them, for they could invariably be sited elsewhere than the regions of outstanding landscape quality, sometimes at a greater cost in money, which civilized man should be prepared to pay”. Murray was and is right. As I wrote three years ago I am not a scientist. On science matters I accept the findings of the majority of scientists working in relevant fields. This seems to me the only logical approach. All the major scientific organisations and societies worldwide are in agreement that the evidence shows that the climate is warming at such a rate that it will cause major problems and that human activities, specifically the burning of fossil fuels, is at least partly responsible. Of course this isn’t and can’t be absolute – it wouldn’t be scientific if it was – and scientists don’t know everything about climate change by a long way. Further research is ongoing and is essential. Various models make different predictions about that is likely to happen. There are so many variables, some of which we are probably not even aware of, that there is no certainty about outcomes. But all the models suggest potential problems. Given this, I think we should be trying to reduce our dependence on fossil fuels and move to energy conservation and renewable energy. I think anyway that the pollution produced by fossil fuels both in their production and their use is a good reason to minimise their use. And wild places are not just threatened by wind farms. Oil exploration is a huge threat to the Arctic wilderness and tar sand exploitation is destroying vast areas of wild forests on the edge of the Rocky Mountains in Alberta. “Keep close to Nature's heart... and break clear away, once in awhile, and climb a mountain or spend a week in the woods. Wash your spirit clean.” John Muir. Well put Chris! I totally agree with all you say. We need to find alternatives to fossil fuels to slow down the rates of global warming but that should in no way destroy that of which we are trying to protect! There are alternative sites for these windmills. It is inexcusable that they should be used as blanket cover on the ridges and tops of our wild places. 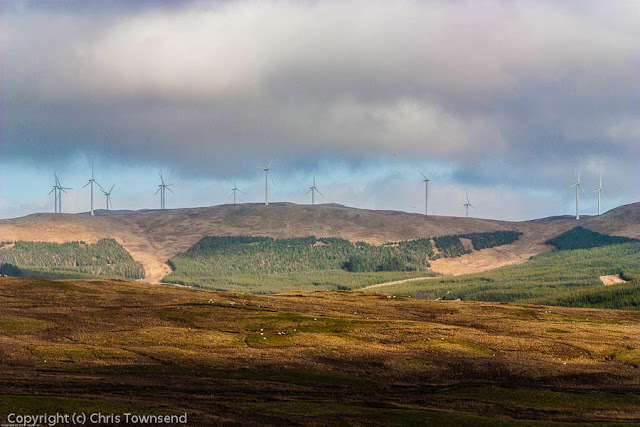 I'm shocked and dismayed when I now go to my favourite places in the Scottish Borders, places that were once full of views of gentle, rolling hills and heather clad ridges, which are now covered in wind turbine towers. In the spring of this year I spent the day hiking up and down a favourite spot not to too far from where I live in Lanarkshire and was brought to my knees in tears at the sight of these towers scattered willy nilly along the hills on the close horizon. I counted 70 odd and not one was turning! Couple of points that I think need making. The argument that we must trash the hills because otherwise global warming will destroy them is obviously bogus, not just because of the reasons you give but also because the historical records are clear. In the Medieval Warm Period Scotland thrived. 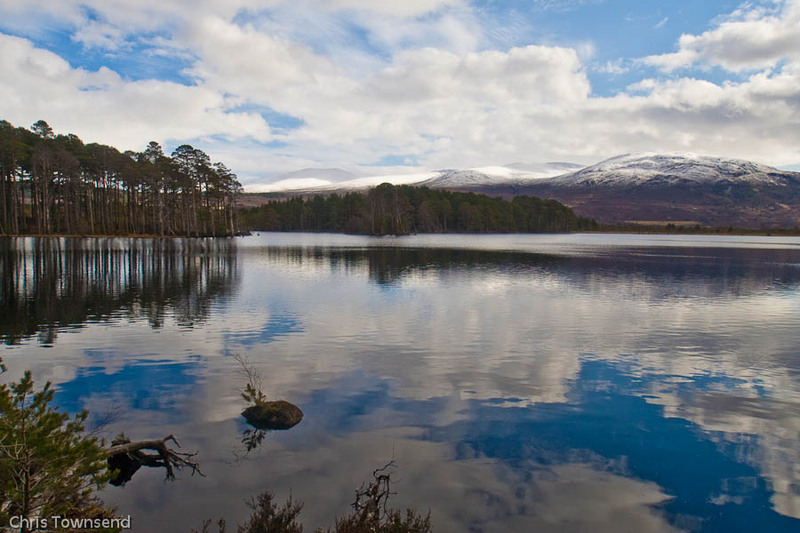 Global warming may negatively affect other places but not the Scottish hills! The tree line would rise, the diversity of fauna and flora, by and large, would increase (and adapt). But there is on sticking point that anyone who supports wind doesn't want to confront. Let's grant global warming is happening. We've heard so many different warnings about what would happen to our weather in Scotland that it's not quite clear what kind of disaster we would be facing, but one meme that has been increasingly popular recently is the alteration of the jet stream pattern. Well, we know that the jet stream in winter can give us weeks of calm weather. It's already an established pattern of Scotland's weather that we do get three/four weeks without wind. Suppose the jet stream is really going berserk. We got three months of rain this summer. If they're right about the jet stream, we're very likely to get 3 months of no wind at all in winter. What's use wind farms then? I still haven't heard any wind supporter giving an answer to this prospect which by their own lights is very likely indeed. 1) when you consider the environmental impact of wind, you should also take into account what rare earth mining does to the Chinese. Again, that's something the wind guys always sweep under the carpet. 2) if you support wind and resist encroachment on wild land you have a huge problem. For wind to have an impact on CO2 emissions and energy provisions, it must become massive. The best sites are upland locations. And even if you chuck them out at sea you still get the Beauly-Denny upgrade. In short, you cannot support wind and then refuse to have it in the places where it is most productive. The Central Belt could not accommodate all the wind capacity required, even if it was politically possible to do it. And as for off-shore, the jury is still out on the impact on marine wildlife. Whales would certainly go bananas with the vibrations from the turbines, fish will prosper, but geese might get chopped off as the farms are going to be situated along their migratory routes. So, while I respect your position (it makes a lot of sense and it is animated by the best intentions), I still don't think it is entirely coherent. But then again, probably no position on this issue would be! thanks for sharing. It seems we enjoy the same view upon these matters. Lets add energy conservation and efficiency to the equation. Use less energy rather than just increasing output. Scotlands true wilderness will be a thing of the past with the current wind farm free for all. Its quite tragic that an area with world wide recognition for beauty, can be so little respected by the Scottish government. What is the carbon footprint made in making a windfarm? and how many years will it take for a windfarm to pay that back? There are many questions to be asked however it seems to be in vain and I fear the worst for Scotlands natural heritage. You're absolutely right, you can oppose wind farms in the wrong places without opposing the arguments for climate change as well. While the science of climate change might be the biggest example of group think since we all thought the earth was flat, it might not be and the risk that it isn't that the arguments are just too great to be ignored. The sad fact is that if all the known all oil reserves are extracted than even the modest carbon management targets currently agreed will not be met and the risk of climate change will not be addressed. With Brent Crude trading at over $100 a barrel the market clearly assumes that all that oil (and the coal) is coming out. Will covering the whole of the Scottish uplands in wind turbines make any significant reduction in CO2? The answer is NO. The Chinese are increasing their output by as much as the entire UK output every year and we still have India, The Philippines, Sumatra, All of Indonesia, Borneo and the whole of Africa waiting in the wings to develop fossil fuel and nuclear power, and no one will stop them doing this as is their right. So if there is CO2 induced Global warming, trashing the Scottish Highlands will make no difference to it whatsoever. How about saving fossil fuels for the future? We have the solution to that. Modern nuclear plants are safe and after manufacture deliver zero emissions for about 60 years. You have to re-manufacture wind turbines every 20. If you do not think they are safe then ask the 4,500 sailors on each of the Nimitz class carriers what they think.. Will wind turbines make our power cheaper or more reliable? No. It is already twice the price of gas power and cannot be counted on to produce when needed. So for every turbine you have to build a parallel generation system at twice the cost. (Ask the Spanish) Look what happens with the tiniest reduction in the massive subsidy. The so called investors run for it as fast as their bulging wallets will allow. So why build wind turbines? To make us "feel good"; To show we are "doing our bit"? To salve our collective conscience because we are ashamed of living long healthy prosperous lives? That is hardly science and it is certainly not economics. I really don't think that if the output of CO2 from the massive industrialising nations does cause a catastrophe that Scotland will survive in its own cocoon because we are the "good" guys. There will be no Summer Isle and no Christopher Reeve to run it.